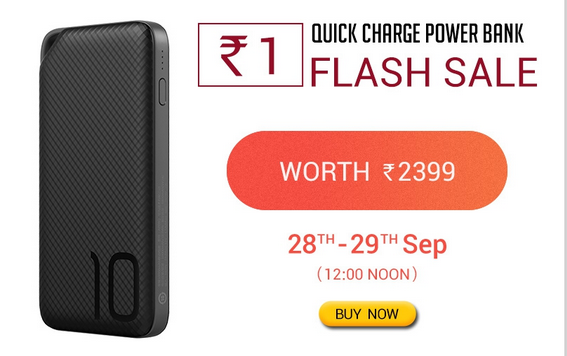 Hey Guys welcome Back Diwali is Near and every One Giving Diwali Offer .Popular Mobile Brand running Diwali Sale where they Giving 1000 mAh Power Bank at Rs 1 Only in honor Diwali Flash sale . So Guys Be ready sale is Going to live On 12 PM from today i.e is 28 Sept and 29 Sept too . Be prepare for Loot free Power bank worth of Rs 1999 at Rs 1 Only and 6 To 9 th Oct you can Buy Honor 6X at Rs 1 Only . If you Liking Rs 1 sale concept then You must check MI redmi also Running Rs 1 MI Diwali flash sale where each day they Offering Mobiles power bank at Rs 1 Only. 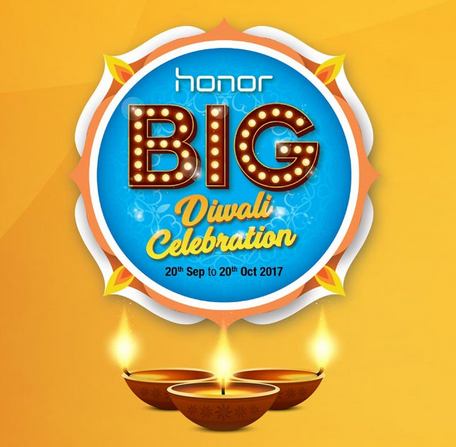 Now You see Honor Diwali Sale Page and Rs 1 Flash sale details. Click On it to see Counter which is Going on sale at 12 PM today. Now Before going to Participate Do’t forget to register Yourself in Honor website. As Timer Hits 00.00.00 Buy Now Button appears click on it to add in your kart. As Product added do check out ASAP. Bongo ! You have claimed Your Product . The flash sale product is Honor Power Bank AP08Q (Black). There are 10 units. All users who place order successfully get the chance to buy Honor Power Bank AP08Q (Black) at Rs. 1. 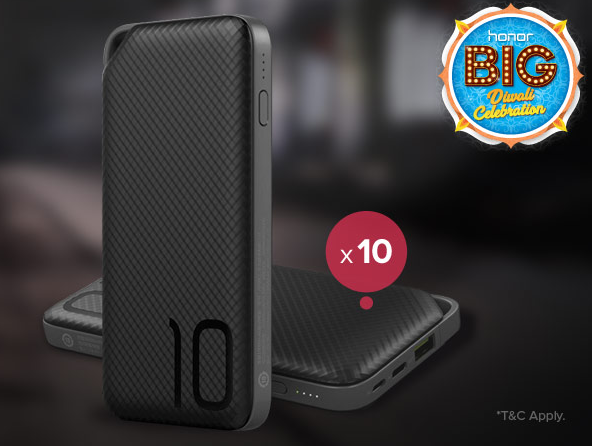 There is no warranty for Honor Power Bank AP08Q (Black) as flash sale product.